The new paperback edition of The Design Way was just released by MIT Press. It sold out immediately! More copies will be available in October. Dr Harold Nelson is an international visiting scholar from the US whose university appointments have crossed the fields of business, IT and design. He is a qualified architect and has extensive experience consulting with corporate, government and non-profit organisations. Together with Dr. Erik Stolterman he co-authored the book “The Design Way: Intentional Change in an Unpredictable World”, which received the Outstanding Book of the Year award from the Division of Instructional Development of the Association for Educational Communications and Technology. See more details here. Harold and Erik conceive of design as culture of inquiry and action directed at creating new things which can be applied across multiple contexts, including industries that may not normally be thought of as design centric. 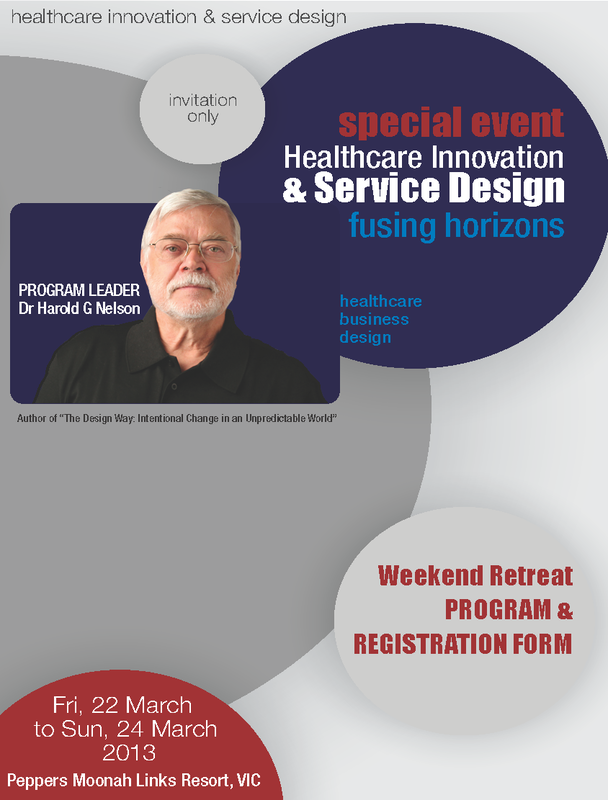 Whether you are deeply involved in design or just curious about design thinking, join Dr Nelson at UTS for this interdisciplinary discussion. This interactive discussion is intended for academics and research students but friends of UTS available during the day are welcome to attend. Register for the the presentation with Q&A here.